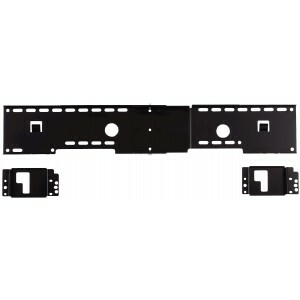 Yamaha SPM-K30 wall bracket is designed to fit the Yamaha YSP-4100 and Yamaha YSP-5100 digital sound projectors among other models, allowing you to mount the sound bar stylishly on the wall. This wall bracket is fashioned from black steel for optimum stability. Delivery includes large brackets and small brackets for the wall, and safety wires/fittings.